From a question about a man in a hat to a question about a boy wearing a crown. Where should we go next? Hat ... crown ... How about shoes? 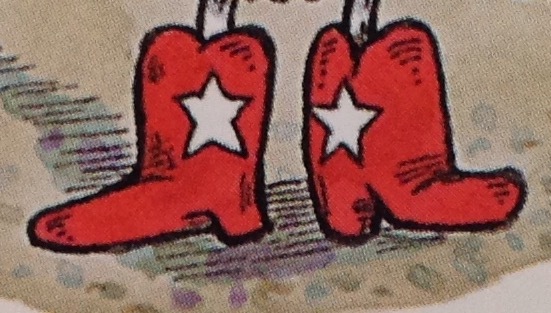 Who wears these spectacular boots?